Philip Rieff was a brilliant and bracingly cranky social critic, skewering, among many other things, our various culture-wide therapeutic fetishes. We won't stroll far with Rieff here. But he says something incisive, if enigmatic, about the issue at hand: our relation to the artist and what artists offer us. Oh my, a Gargantuan issue. We'll try our best not to gorge. Composer Daniel Gilliam has given shape to a few documents, which, if we attend to them, may in turn shape us a bit. The moderately temperate question is: How? Gilliam is a man with a day job, a responsible young fellow who supervises a group of mostly reasonable, sometimes querulous individuals: classical music hosts at a radio station in Louisville, Ky. I know this first-hand because in 2010, Gilliam came to Minnesota for a time and became my boss at Classical MPR. Patience, support, good humor characterized his management style. After two years, he returned home. Over the course of those two years, it emerged through conversations that though radio is Gilliam's profession, writing music is his vocation. He didn't announce it, he wore no tags, bore no signs of Artist. He seemed cut out of a fine old American tradition of Wallace Stevens or Charlie Ives. Wearing a suit in an office by day. Creating enduring artifacts of music or poetry by night. 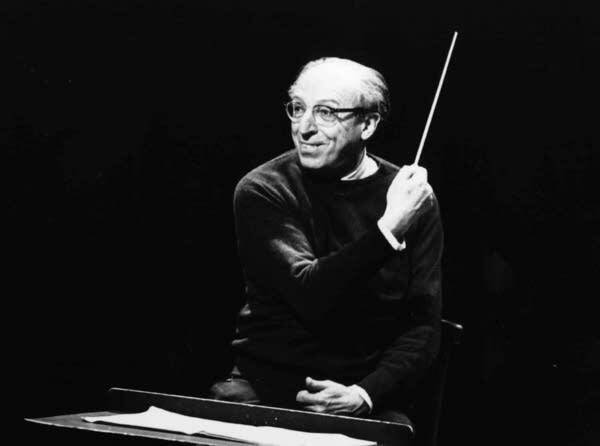 Aaron Copland once complained that a composer in America either got rich or starved, the distribution between the poles roughly equal to the now infamous one percent of the one percent and so on. We all love Mr. Copland, but his analysis was a little simplistic, the old zero-sum game assessment. There is, in fact, a great unseen and unheard herd of composers who are neither rich and celebrated, nor starving in garrets. That Romantic notion of winner and doomed is as outdated as the disc drive. Daniel Gilliam is one of these in the great middle, as devoted to his craft, as conversant in its complexities, as skilled in deploying its tools, as any. 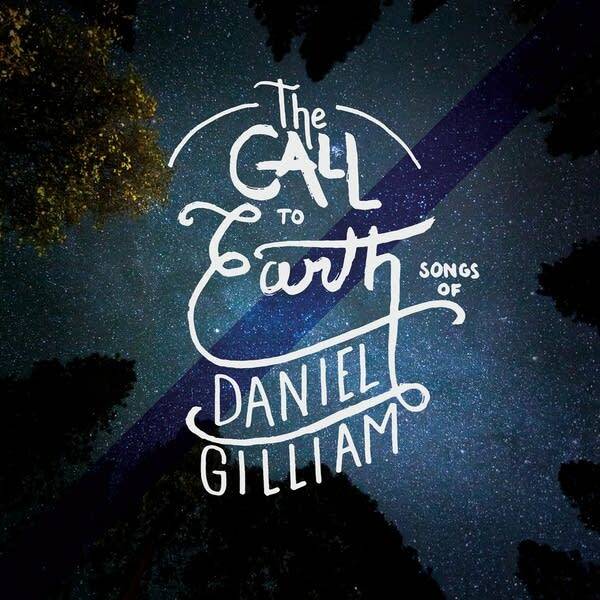 In The Call to Earth, Gilliam has put together a collection of his songs, with texts by Walt Whitman, Emily Dickinson and fellow Kentuckian Jesse Stuart (also a poet with a day job, as a teacher and administrator). These are art songs, a phrase with unfortunate whiffs of dust, redolent of times past and sensibilities strange, even occult. And there may be no overcoming that. But let's try, less for Gilliam's sake than for own own. An art song is a gemstone, cut to perfection. That's something we all can appreciate. Such a song, from Franz Schubert through Robert Schumann, to Copland and Samuel Barber (and beyond! ), involves an effort to treat a text musically in such a way that the meaning of the verse is preserved, even enhanced, yet something new is created that neither the text nor the music can do alone. It's delicate work, as in our jewel simile, involving subtleties and small details that require attention to apprehend. The facets of Gilliam's songs reflect a certain melancholy, lyrical definitions of what Night is, a feel for an older tradition of well-wrought harmonies. The choice of Whitman and Dickinson is telling: poets with complicated, shaded scenes of nature, and a pervasive agreement that Death is near, surrounding us like dark matter. And 20th-century poet and novelist Jesse Stuart, rooted in Kentucky soil, wrote the first of some 700 sonnets as he paused in the midst of working a field: "I am a farmer singing at the plow." Gilliam's music gloves their verse, with operatic bangles or muted stitches, or canvas toughness, as the moods demand. Let's circle back Philip Rieff for a moment: "The artist represents what we are trying to become, the shape we are trying to take in our effort to escape the pressures of timeworn inwardness…"
A gnomic claim, for sure. What does it mean? Timeworn inwardness? Don't we tend to look at artists as the very products of inwardness, and as pied pipers leading us there? We may have to work, work our thoughts. The issue of a composer like Daniel Gilliam — for the moment representing thousands upon thousands of such souls — is a fascinating one, worthy of a long look: voices of meaning — again, like dark matter, hidden in plain sight — surround us. And like those thousands working year by year out of the mainstream, Gilliam admits to a brand of loneliness, the kind you feel when your messages, even your expressions of love, dissolve on the wind, mostly unheard. But any effort at a really productive brooding on Rieff's artistic mission statement might involve turning the old plight-of-the-artist story on its head. "Our effort to escape the pressures of timeworn inwardness" suggests that we ourselves, the takers or leavers of an artist's work, are plighted too, and passively suffering. We depend mostly — for what we know of poetry and painting and music and drama — on a loosely organized complex called The Arts to orient ourselves in this cultural galaxy. The complex, fueled by publicity, suggests to us what's good, what's mediocre, what may actually last. We listen, choose, consume. And yet many of us starve. Why is this? Maybe consumption doesn't satisfy. Maybe something else, something we might call "devotion" is a more sustaining strategy. I'm not here suggesting that you devote yourself to an understanding of songs by Daniel Gilliam (and I think the man himself will understand) any more than songs by Ned Rorem or string quartets by Beethoven — though any or all would pay dividends of some value by close attention. I am suggesting that the act of devotion itself may be a key to something valuable for you, for me, for any individual, "to escape the pressures…" and so forth. Take an artistic artifact, any one you choose. Then poke at it, meditate upon it, extrapolate from it, with utter impunity. Claim freedom to make similes out of the reach of corrective frowns. Immediately, in its literal meaning: without mediation. We've been trained not to proceed this way. What about discernment? we're asked by voices of authority. Or informed discrimination between the fine, the good, and the execrable? I'd say, immediately, that we might find our respective ways to these critical skills if our devotion is authentic, and habitual. And then we'll be able to spar effectively with certified voices, and if we yield a valid point, we do so as a practiced devotee, still confident in the validity of unregulated poking. Daniel Gilliam's songs, mostly veiled from that worthy hulk called The Arts, are here, at hand. You've found them. Devote some time and attention to them, and you might begin to see what Mr. Rieff suggests the artist is offering us. Not inwardness at all, but potentially, the most complete connection and communion with life and lives imaginable. Who, after all, has traveled further than the recluse of Amherst? Who's known love and longing more vividly than the shaggy old salesman of himself? Who's wiser about nature's wealth than the Kentucky schoolteacher, who could find silver in the wind and gold in peach blossoms? And you may find the most congenial guide to these American minds in this careful craftsman from Louisville. 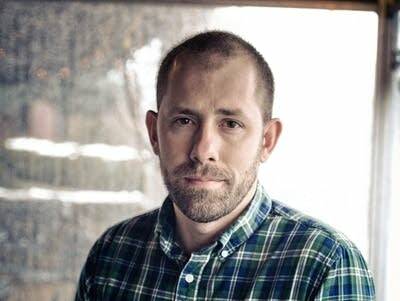 An unassuming creative artist, but Daniel Gilliam is audacious enough to collaborate with genius and give us new colors to contemplate, melodies upon their melodies; and new paths to follow, new voices to discover and devote our attention to, voices reminding us of our loneliness and easing it at the same time. An alchemy in the tradition of Jesse Stuart. Treasures. We have treasures. Value this gold you've found, seek that yet undiscovered, and perhaps sing a proper elegy for the many voices which, inevitably, you'll never find and never know.